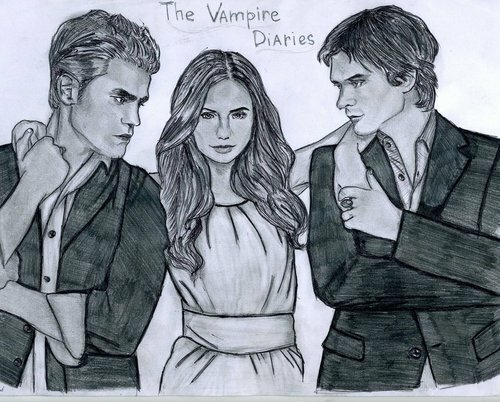 The Vampire Diaries drawing. . HD Wallpaper and background images in the The Vampire Diaries TV ipakita club tagged: the vampire diaries cast. This The Vampire Diaries TV ipakita fan art might contain green beret, mga espesyal na pwersa, pili kawal, fatigues, anime, comic book, manga, and cartoon.